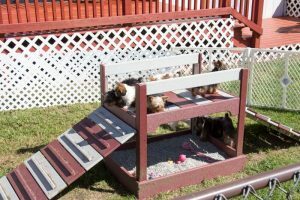 Petland Breeders Spotlight on Yoder Kennels: Where Does Petland Get Its Puppies? Get ready for our newest addition to the Petland breeders program! Petland Mall of Georgia’s at it again! Get to know our newest breeder, Erwin Yoder, and his dogs! Yoder Kennels is owned and operated by Edwin Yoder of Bloomfield, Iowa. Originally a life-long farmer, Edwin had a severe accident, leaving him unable to continue to work as he had on his family’s lands. But there is a silver lining, Edwin had been fond of animals all his life and it seemed like an effortless transition to begin breeding dogs professionally in 2015. Now, it is thoroughly a family affair with Edwin’s wife and children being involved with the care of the adult dogs and the raising of the puppies. 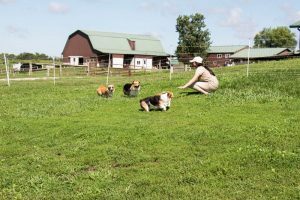 The Yoders have been successfully breeding Pembroke Welsh Corgi puppies for sale and Miniature Dachshund puppies for sale! Great care and a lot of love go a long way! The Yoders are very involved with their veterinarian on make sure not only their puppies, but their adult dogs are extremely well taken care of. The Yoders focus on a well-rounded nutritional diet, lots of daily exercise in the turn-out yards and training and socializing with their animals. They believe this lays the foundation for happy, healthy pets. The Yoders say they love what they do and it shows! Wow! That’s a lot of commitment, but it’s standard when it comes to our breeders. We work with people that truly care about their animals and continue to raise the standards of pet breeding across the board. Want to see if we have any Corgi puppies for sale or Dachshund puppies for sale from the Yoders? Just check our available puppies page or give us a call today! Petland Breeders Spotlight on That’ll Do Kennel: Where Does Petland Get Its Puppies? Hello again! Ready for the newest kennel to make the cut for our Petland breeders program? Here at Petland, we get so excited to be able to show you where are puppies are coming from! Not a day goes by that we don’t hear the question, “Where does Petland get their puppies?” and it’s such a rush to be able to show all our hard work when it comes to sourcing Petland breeders and putting together trips to visit them. It’s so important to us that Petland continues to be a beacon in the pet industry for supporting not only responsible pet ownership, but also the caring, reputable breeders that those pets come from! That’ll Do Kennel is owned and operated by the Schlabach Family. Levi and Esther, with the help of their seven children, began raising puppies in 2014 and welcomed their very first litter of puppies in May of 2016. The whole family loves being around animals and working outside along with their pups. They raise Golden Retriever puppies for sale, Goldendoodles for sale and Newfoundland puppies for sale. In the spirit of continuing education, the Schlabach family received training lessons from an AKC representative. This training helps the Schlabachs to connect with and nurture their adult dogs. It is also important for their puppies, as exercise and playtime promote healthy, happy pets! They make it a high priority for both parent dogs and puppies to spend as much time as possible in the exercise yard and in their doggy-approved swimming pools. Going the extra mile is what this is all about! It’s not just wanting to be a great breeder that makes it so, and the Schlabach family knows all about raising the bar when it comes to responsible breeding practices and pet ownership. They work hard to make sure that every puppy is exposed to toys, other animals, training and people so they can acclimate to their new homes seamlessly. They also will rehome any puppy that wasn’t a good fit or couldn’t be cared for properly by their families. It’s so important that every baby puppy that they raise has the best life it can! Well, we certainly think that the Schlabachs have it figured out when it comes to caring for their beloved animals! Want to see if we have any Golden Retriever puppies, Newfoundland puppies or Goldendoodle puppies for sale from That’ll Do Kennel? Check out our available puppies page or give us a call today! 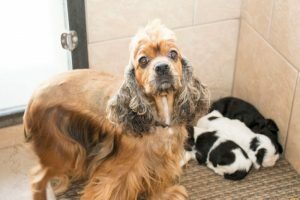 Petland Breeders Spotlight on Stoney Creek Kennel: Where Does Petland Get Their Puppies? We want to give a special shout out to the newest member of our Petland breeders program, read along for more! At Petland, we believe that every animal life is important and should be properly cared for! That’s why our name is so synonymous with the highest standards and quality of care when it comes to the pets we take care of on a daily basis. But what about where our puppies come from before they get to us? Hardly a day goes by that we don’t hear the question, “Where does Petland get their puppies?” and it’s one that we never get tired of answering! We’re proud to show that we use only the most caring, reputable breeders in the country. It’s just as important to us where our puppies come from as where they’re going and we prove it every single day. So follow along with our newest Petland breeders family blog! Let’s follow along with the Troyer family and Stoney Creek Kennels! Stoney Creek Kennel, LLC is family owned and operated by the Troyer Family of Bloomfield, Iowa. Ivan and Ruth Troyer moved to Stoney Creek Farm in 2005. Where they took over a farm that was home to an organic dairy. But their inherent love of dogs drove them to complete construction on a kennel of their very own. The Troyer Family, Ivan & Ruth and their five children, enjoy many happy hours together caring for their puppies. They raise Siberian Husky puppies for sale, English Bulldog puppies for sale, and Pomsky puppies for sale. 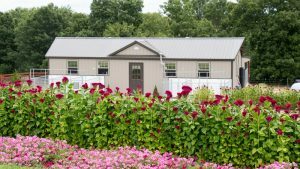 Their dream has always been to have a state-of-the-art, dog-friendly facility to attract both visitors and friends. In 2015, they built a new kennel and as a family are excited to greet each new puppy born. Inside their new facility they always have fresh air moving with their GEO thermal ventilation system. It keeps the dogs cool in the summer and uses radiant floor heat to keep them warm and cozy in the winter. The Troyer’s children especially enjoy play time with each puppy. This helps make sure the puppies are socialized and ready to come from their home to yours. The highlight of their day is when they get to turn the dogs loose in their yard to play with them. The dogs get the valuable exercise they need and the children get to romp and play too! Stoney Creek Kennel works hard to raise top quality, healthy, and socialized puppies that are ready to for their new home with you. 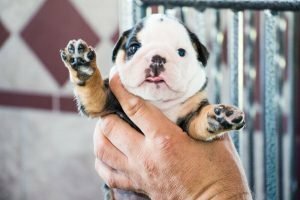 Check out our available puppies page to see if we have any bulldog puppies for sale, Husky puppies for sale or Pomskies for sale from the Troyers! 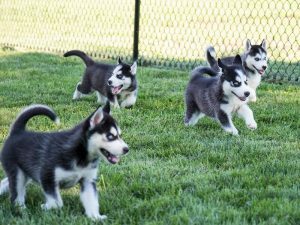 Petland Breeders Spotlight on Shadow Valley Kennels: Where Does Petland Get Their Puppies? It’s an exciting announcement people! We are so pumped to include another family into our Petland breeders program! Where our puppies come from is just as important to us as where they’re going. And just like we have our puppies going to loving, furrrr-ever homes, that’s where we’re getting them! Our Petland breeders are some of the best in the country and we’re proud of each and every person we work with. Petland’s name has long been associated with high standards of care and animal husbandry, not only in our store, but at the source as well. We know that when you come into our store, you expect to find happy, healthy pets from places that have been thoroughly inspected and we respect that. So, when we hear, “Where does Petland get their puppies from?” we can give you the best kind of answer! Drumroll please! Here is Vernon Troyer and his pride and joy, Shadow Valley Kennels! Shadow Valley Kennels is a USDA licensed kennel owned and operated by Vernon in Seymour, Iowa. Mr. Troyer has had a life-long love of animals, with dogs definitely holding a special place in his heart. He started raising hunting dog s at the age of 14, but has since moved on to the family pet realm. Shadow Valley Kennels now specializes in Yorkie puppies for sale and Maltese puppies for sale. Vernon is an avid member of the local Iowa Kennel Assurance Program (IKAP). This program is instrumental in keeping breeders up-to-date on all the best kennel practices, genetic research and increasing animal husbandry standards. Vernon makes sure that his adult dogs are well taken care of, with a lot of focus put on exercise, stimulation and daily nutrition. This focus really shows in his beautiful outdoor socialization and play yard, meant for both the adult dogs and puppies alike! Vernon truly loves what he does and strives to raise the bar every chance he can, now that’s a mark of a great breeder! Are you interested in finding out if we have any of Shadow Valley’s Maltese or Yorkie puppies for sale? Just give out Pet Counselors a call today or visit our available puppies pages! Petland Breeders Spotlight on Shadey Lawn Kennel: Where Does Petland Get Its Puppies? Looks like the Petland Mall of Georgia family is growing again, let’s welcome our newest Petland breeders! Well fellow animal lovers, it’s a beautiful day and now we have the pleasure of inviting you to take a closer look at another of our breeder families! Here at Petland, we get asked “Where does Petland get its puppies?” all the time, and for good reason! A responsible part of pet ownership is supporting good breeding practices and the people that spend their lives caring for their animals. In that way, we are just like our customers, it’s extremely important to make sure we are working with only the most dedicated Petland breeders. Everybody give a big, warm welcome to Shadey Lawn Kennel and the Schrock family! 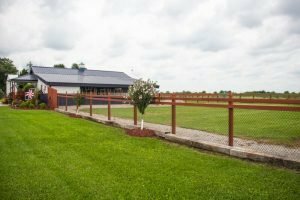 Shady Lawn Kennel is family owned and operated by the Steven Schrock Family of Bloomfield, Iowa. They began raising puppies in 2014 and the entire family loves working with and caring for their pups. The Schrock family raises German Shepherd puppies for sale and Siberian Husky puppies for sale. They love seeing each new litter of puppies born and watching them as they grow into healthy, friendly pets. They might be a small operation now, but just wait! The Schrock’s love what they do and it shows! 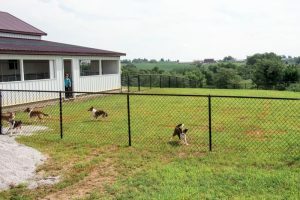 They made updates to their kennel in 2015 which included an outside yard for the dogs to run and play in. 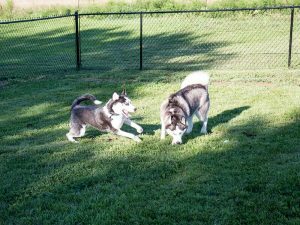 It is exciting to watch the puppies play together every day and it gives the Schrock’s the perfect place to teach good dog manners and work on training. 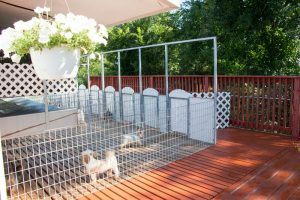 Shady Lawn Kennel also works in conjunction with their veterinarian to see that each and every puppy is happy and healthy! Want to see if we have any Husky or German Shepherd puppies from Shadey Lawn? Just give our Pet Counselors a call today! Or visit our available puppies page, right here! 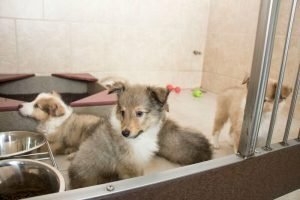 Petland Breeders Spotlight on Oak Ridge Kennel: Where Does Petland Get Their Puppies? We are so happy to bring you our newest spotlight blog for our Petland breeders! Our newest series of blogs focus on our wonderful, caring Petland breeders. We get asked “Where does Petland get their puppies?” quite a bit and we want to show our customers that we take our breeder’s standards of care very seriously. The name Petland is synonymous with happy, healthy puppies and we wouldn’t have it any other way! Petland Mall of Georgia is proud to present the Oak Ridge Kennel and the Yoders! 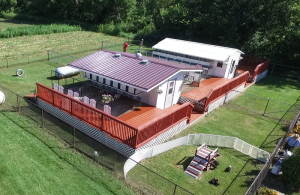 Oak Ridge Kennel is family owned and operated by the Yoder family of Seymour, Iowa. They originally started out as a home-based, custom built kitchen cabinet business. Levi and Wilma, along with their seven children, began raising puppies with a pair of pet Shetland Sheepdogs, and their passion for breeding was born! They loved seeing each little of puppies born and watching them grow into healthy, friendly pets. It didn’t take the Yoders long to realize what they needed to do! 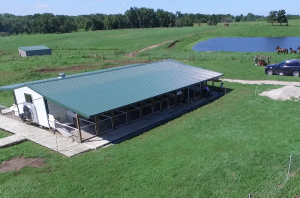 In 2015, they built an impressive breeding facility for Shetland Sheepdogs for sale. 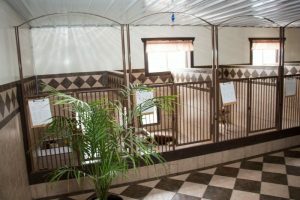 They wanted a facility that was both friendly to the public and comfortable for their animals. 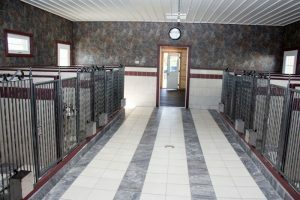 The facility is state-of-the-art and draws fresh air inside from their geo thermal ventilation system to keep all their puppers cool in the summer and cozy warm in the winter. 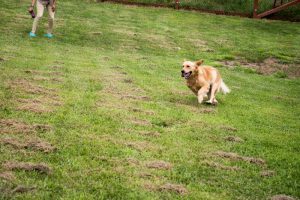 In 2016, they added a large outdoor yard for the dogs to run and play in the lush, green grass. 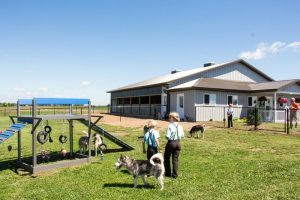 The Yoders say it is the perfect place to watch the dogs and puppies play together and it gives the children a good area to teach the puppies basic commands and start leash training. Levi and Wilma’s children love to help with the puppies and make sure to play with and cuddle each one daily. Here at Petland, we can’t imagine a better place to grow up a Sheltie puppy! Want to see if we have any puppies for sale from Oak Ridge Kennel? Just click here for our available puppies page! 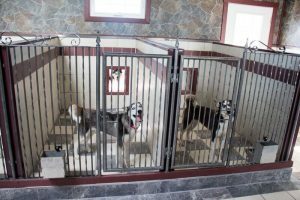 Petland Breeders Spotlight on Howling Hill Kennels: Where Does Petland Get Their Puppies? We are excited to work with some of the best breeders in the country, check out Howling Hill Kennels! We get asked “Where does Petland get their puppies?” all the time and that’s perfectly fine with us! We want to show our customers where their new furry bundles of love are coming from, because Petland breeders are some of the most hard-working, caring breeders around. It’s also why we’re starting a new Petland breeders blog series! We hope you’ll follow along with us. Petland presents the appropriately named Howling Hills Kennel! 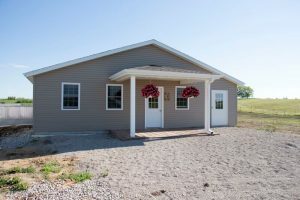 Howling Hill Kennel, operated by Samuel and Clara Mast, is nestled in the beautiful, rolling hills of Southern Iowa. Samuel and Clara both grew up on farm and have always shared a love of animals. Samuel started raising puppies at the age of 14. When they married in 2009, they were excited to make raising puppies part of their life together. 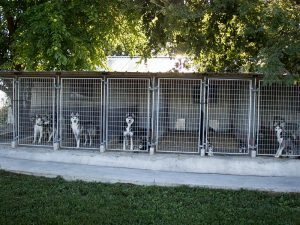 The Mast’s only raise Siberian Huskies for sale, which is why we think the kennel is so aptly named! Their puppies are eager to please, lovable and very well behaved. They keep their kennel small, so they can give each animal in their care individual love and attention. While Samuel works during the day, Clara is able to stay home and devote time to their adult dogs and puppies alike. Clara focuses on playing, socializing, feeding, watering and making the puppies and adults as comfortable as possible. Samuel and Clara strive to make sure their puppies are comfortable with people, different surroundings, new toys and textures. That way, when the puppies move to their new homes, it is as easy and smooth as possible. The Mast’s goal is to always get a happy, healthy and friendly puppy from Howling Hill Kennels! What more could you ask for in a Petland breeders? We love working with people who are as passionate about animals as we are! 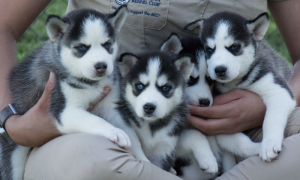 Want to see if we have any Husky puppies for sale in our store from Howling Hill? Just click here for our available puppies page! Petland Breeders Spotlight on Hillview Kennel: Where Does Petland Get Its Puppies? Petland welcomes a wonderful new breeder into the family, come read all about it! Here at Petland, we take the question “Where does Petland get its puppies?” very seriously! We are constantly trying to raise the bar when it comes to our expectations for the Petland breeders we work with and new breeders as well. We believe that being educated about the breeder world is very important, which is why we attend breeder conferences and go on breeder trips. Our family wants to be able to bring our Petland breeders to you, so you know you’re getting a happy, healthy puppy for life! Now, we want to introduce you to the awesome new breeders at Hillview Kennel! Hillview Kennel is owned and operated by Eli Schrock and had his initial litter in April of 2016. Despite being a new breeder, Eli has been fascinated with the genetics of dogs and hopes to bring his expertise to the puppies he’s rearing. Eli’s kennel specializes in Akitas for sale, Golden Retriever puppies for sale and Siberian Huskies for sale. He especially focuses on Akitas and has several champion bloodlines he is excited to breed! Hillview Kennel works very closely with a board certified veterinarian to oversee that the appropriate puppy vaccinations, preventative de-worming and prophylactic treatments are all given to each puppy. The vet then conducts a “head to tail” examination to ensure each and every puppy is healthy and ready to move in with their furrr-ever family! 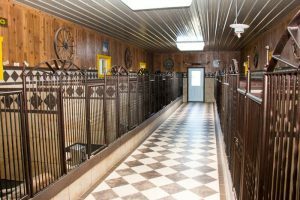 Animal husbandry and care are number one priorities at Hillview Kennel! 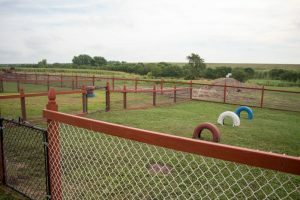 The kennel property has huge outdoor yards for socialization and playtime for both the adult dogs and the puppies. This is especially important for puppies to experience new toys, textures and grounds. This is so they acclimate better when they go home. Eli has taken obedience training classes to help him fully prepare the puppies for their new environments. He also puts a big focus on nutrition and daily exercise, which is a requirement for all large breed dogs. Wow! What a great start for the puppies that you see in our store! Want to know if we have any Hillview Kennel puppies for sale in our store? Just click here for our available puppies page! Petland Breeders Spotlight on Daynes Ridge Kennel: Where Does Petland Get Its Puppies? Our Petland breeders are the best in the country, read along to find out more about where we get our precious puppies! 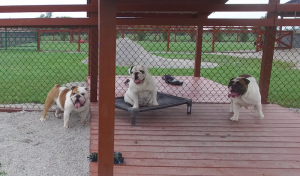 Daynes Ridge Kennel has a special place in our hearts and not just because they raise bulldogs for sale! Go Dawgs! But because they work very hard to raise happy, healthy puppies for us to be able to home with our customers. Here at Petland, we get asked “Where does Petland get its puppies?” quite frequently. This is why we are doing an entire series of blogs dedicated to our Petland breeders! 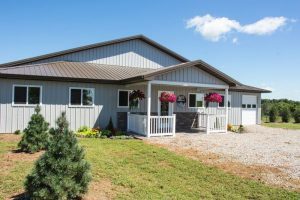 Our newest breeder spotlight is on Daynes Ridge Kennel! Daynes Ridge is the labor of love for Jeremy Rogers and his daughter, Payton. They have been breeding and placing puppies in loving homes for over 15 years. The Rodgers’ raise Bernese Mountain Dogs for sale, English Bulldogs for sale and French bulldog puppies for sale. They care deeply about these breeds and put a huge focus on improving and promoting them. Daynes Ridge Kennel works closely with their veterinarian to see that the appropriate puppy vaccinations, preventative de-worming and prophylactic treatments are all given to each puppy. Their vet also conducts a thorough “head to tail” examination to ensure that each puppy is healthy and ready to meet their new families in our store. Daynes Ridge Kennel literally has an open-door policy! Jeremy and Payton are so proud of their state-of-the-art kennel, they allow visitors at any time. They have created an open, transparent policy for those who wish to visit Daynes Ridge. 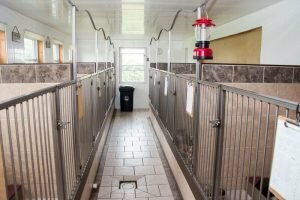 Visitors can tour their beautiful, roomy facilities and get the opportunity to meet and interact with their happy adult dogs in their large, outdoor runs. Here at Petland, we are so blessed to be able to work with the caliber of people, like Jeremy and Payton, that genuinely love what they do! Want to see if we have any puppies from Daynes Ridge Kennel, just click here for our available puppies page! 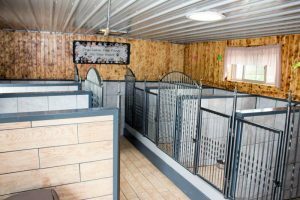 Petland Breeders Spotlight on Cloveridge Kennels: Where Does Petland Get Their Puppies? Petland Mall of Georgia is happy to be working with the most caring, reputable breeders in the country! We get asked, “Where does Petland get their puppies?” quite a bit. This is why we want to spotlight our outstanding Petland breeders in hopes of bringing our customers closer to where their newest four-legged family members come from. We know that not everyone has the time to visit kennels that may end up being several hours away, but we want our customers to be able to get to know our breeders in a way that makes them feel confident in the extremely high standards we set for the Petland breeders we work with. Our breeder spotlight today is on Cloveridge Kennels and the Mullet family! 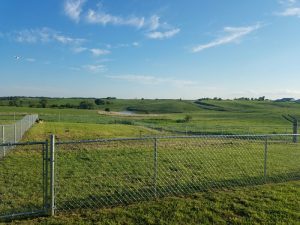 Cloveridge Kennel is family owned and operated by the Mullet family in beautiful, scenic southern Iowa. The Mullets have always considered raising dogs to be a passion of theirs and it shows! They said their greatest joy is getting to work together as a family, teaching their children valuable lessons about responsibility and integrity. 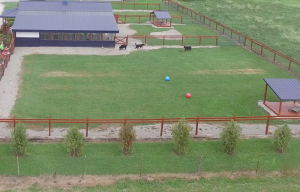 The Mullets all help out with the care of each adult animal in their kennel, raising and socializing the puppies and introducing them to new surroundings, toys and surfaces, like their huge outdoor play areas! Marvin Mullet and his family began raising Pomeranians for sale, Cockapoo puppies for sale and Cocker Spaniels for sale in 2008. 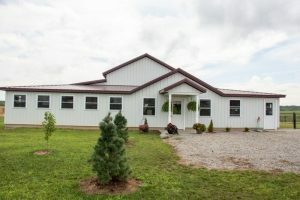 They recently expanded and upgraded their entire operation in 2015, wanting to provide the best home they could for their animals. 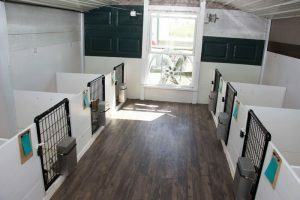 The new kennel included a geo-thermal ventilation system to allow fresh air to be circulated constantly, as well as radiant flooring to keep all the mommies, daddies and puppies warm and comfortable all winter long! The Mullets also work very closely with their veterinarian to ensure the health and safety of both the adult dogs as well as the puppies. Every puppy is properly vaccinated, de-wormed and receives prophylactic treatments that are age appropriate, however all this is overseen by their vet. They then receive a thorough head to tail examination to ensure each puppy is happy, healthy and ready for their new furrr-ever home! You can see why we’re so proud to be able to work with such a kennel! Want to see if we have any Cloveridge Kennel puppies for sale in our store? Just click here for our available puppies page!